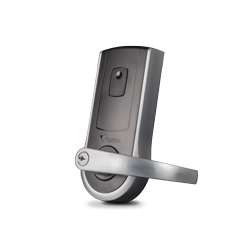 Paxton's PaxLock is a wireless lever lock with access control functionality built in. Easily add access control to interior doors without having to install and wire a door strike. 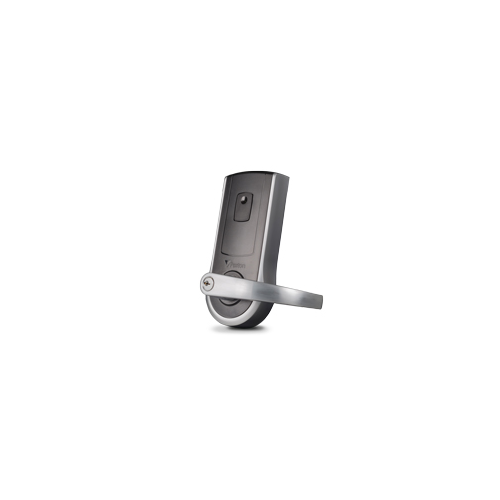 The Paxlock has a built-in prox reader to read user's credentials to allow and log access. Paxlock is battery powered so no new power wiring is needed. Paxlock uses wireless communication via Net2Air bridge(s) to communicate to the Net2 server software for programming and logging access control credentials. Paxlock has on board memory to store events when the server/computer is not available and will automatically upload when the server connects. Paxlock has a wireless range of about 50 feet to the nearest Net2Air access point. Paxton is sold to authorized installers only.